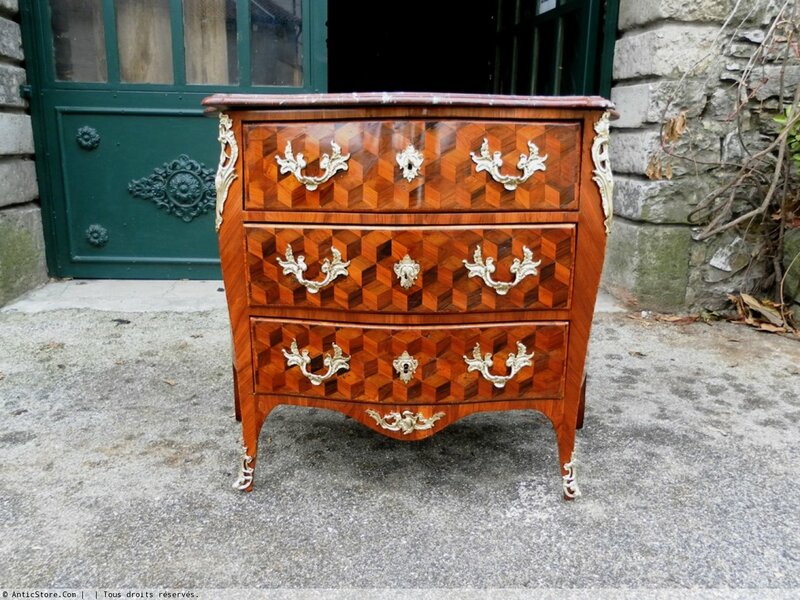 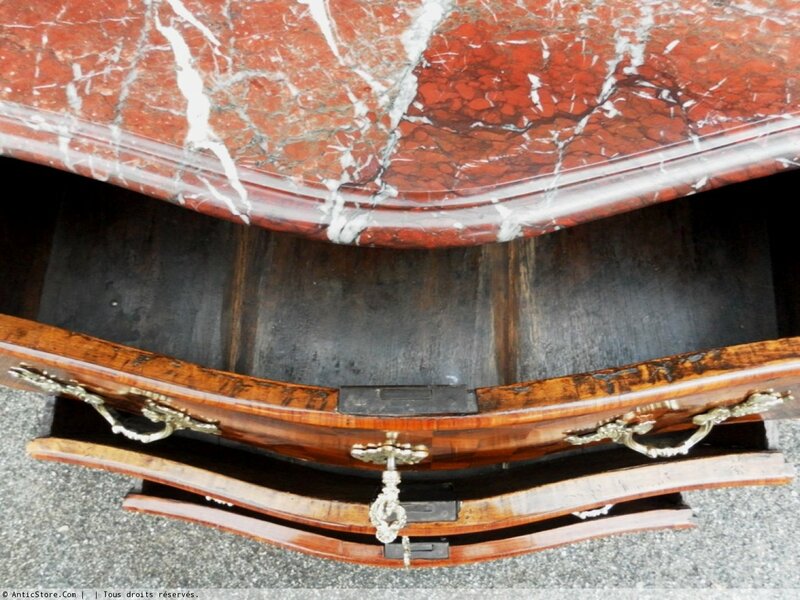 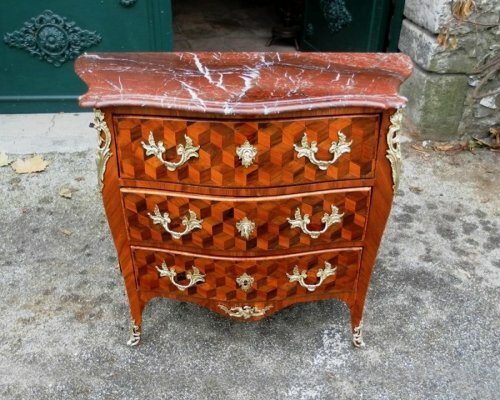 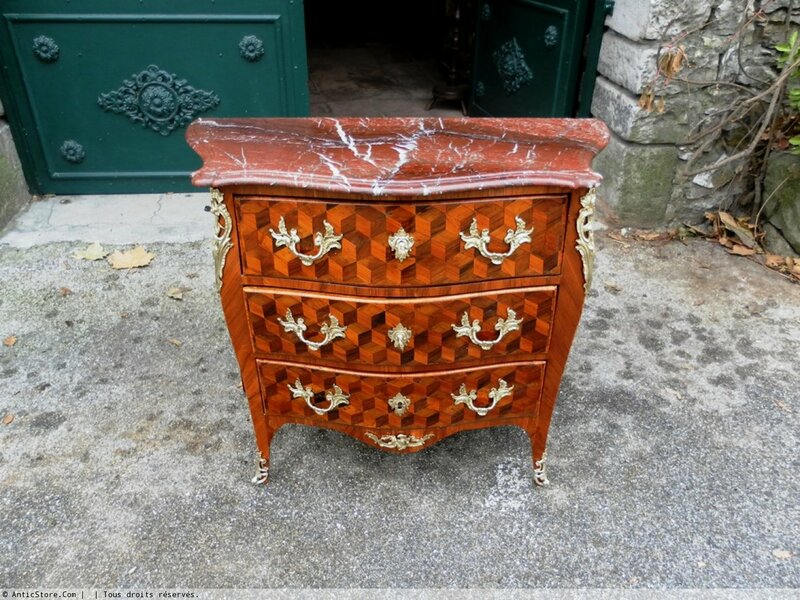 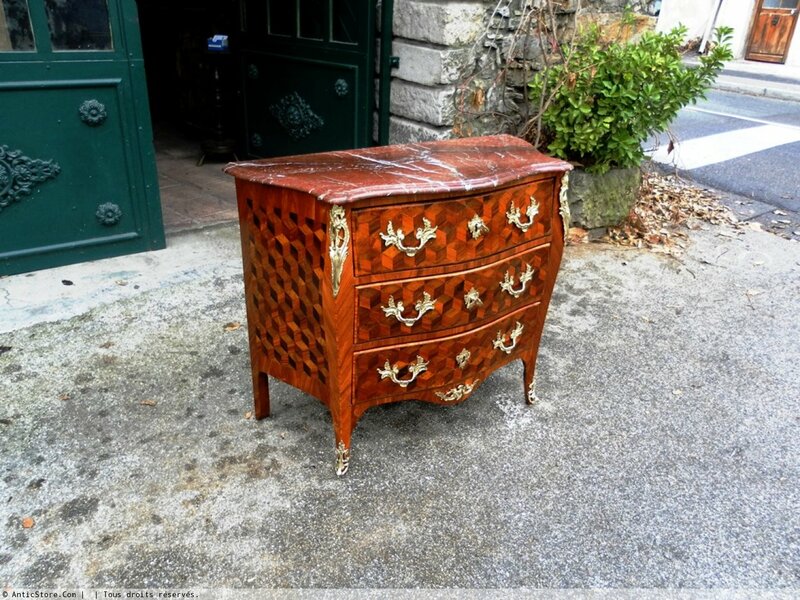 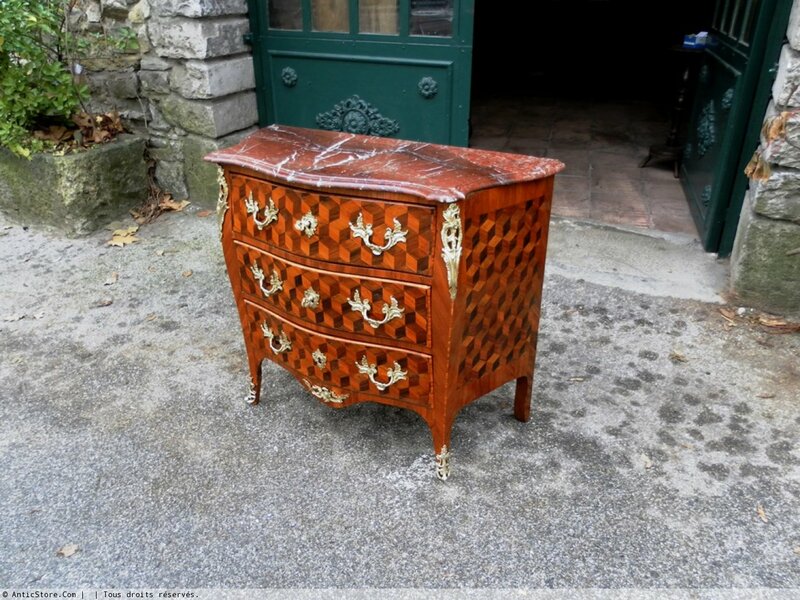 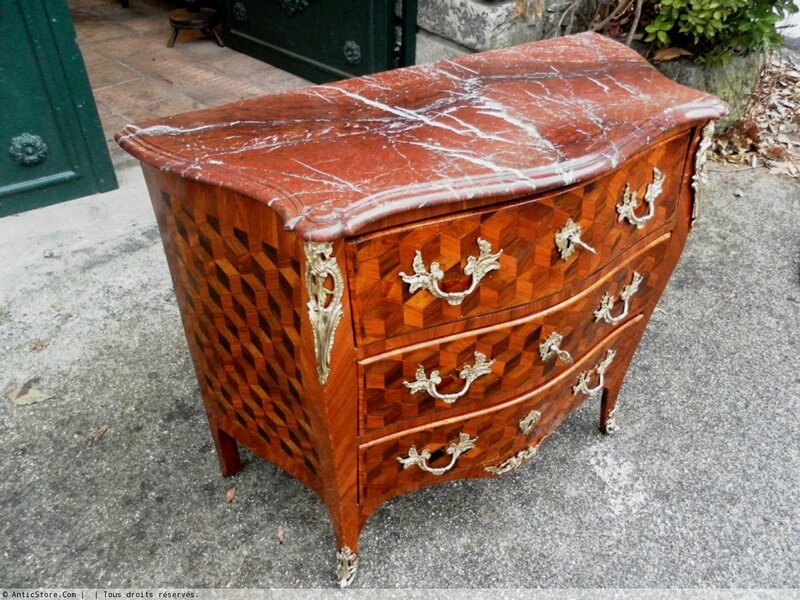 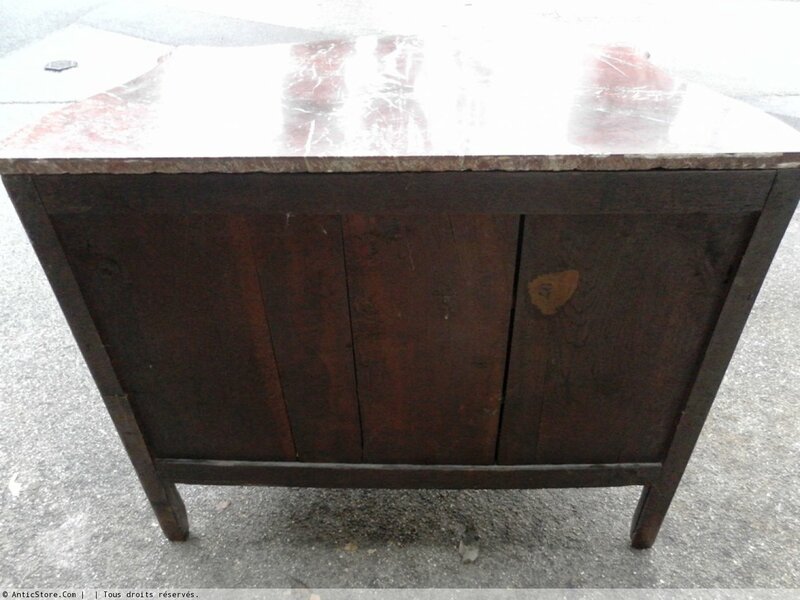 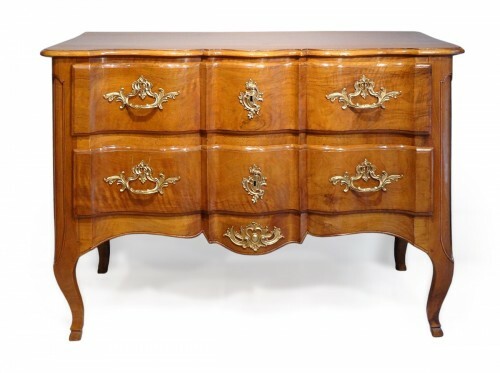 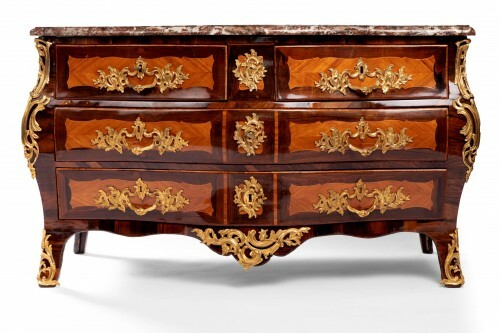 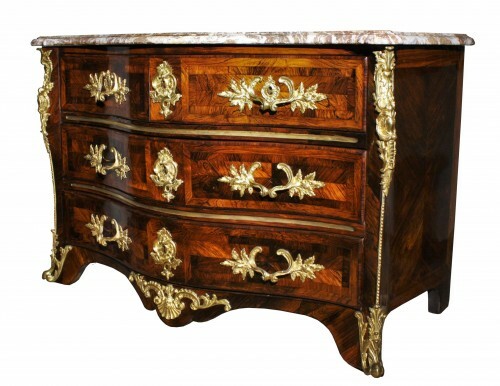 AnticStore > Catalogue > Furniture > Commode > Louis XV > 18th century > Chest of drawers form tomb, curved front and sides. 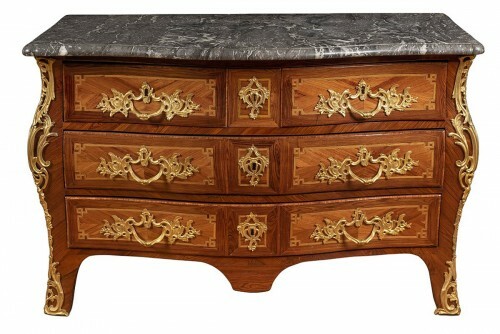 Chest of drawers form tomb, curved front and sides. 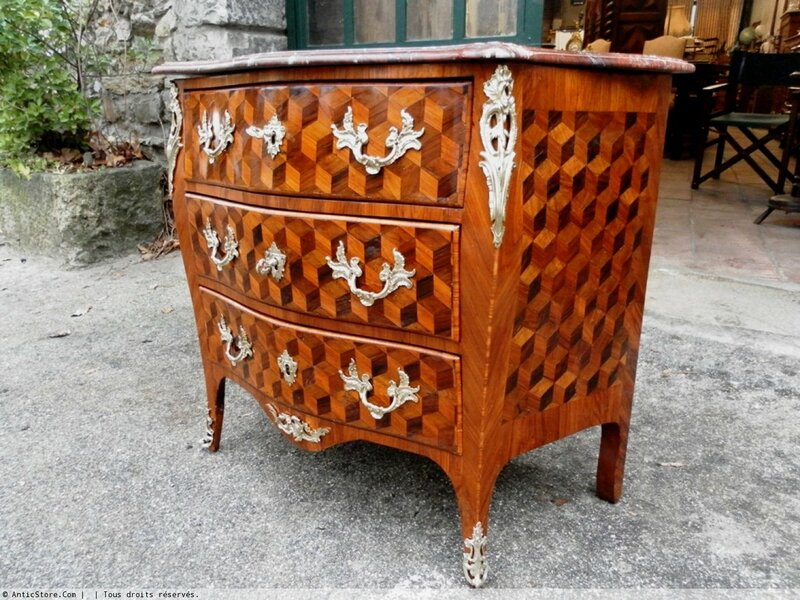 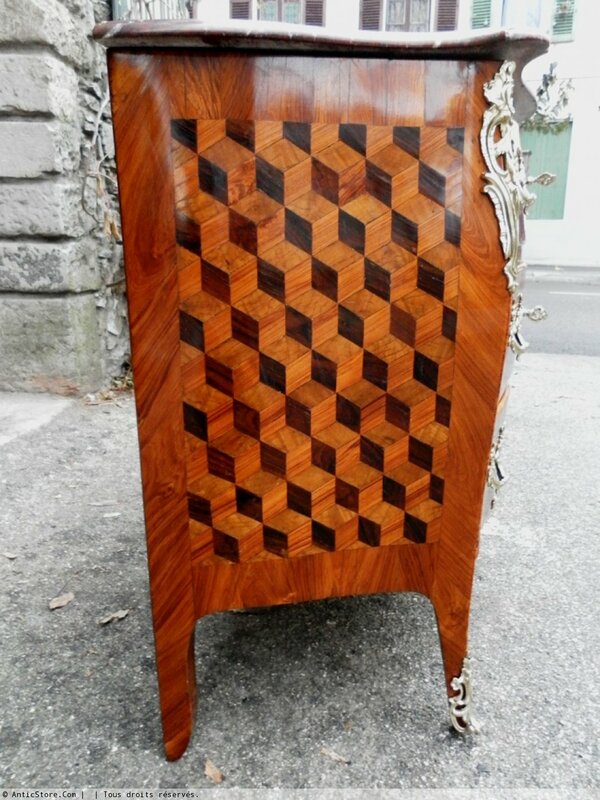 Opening 3 drawers, it has a marquetry cubes bottomless front and on the side panels. This type of inlay also known as the "cubes Oeben" consists of amaranth wood, stained sycamore, rosewood and kingwood. 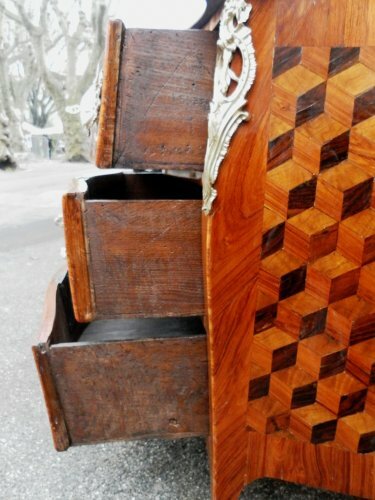 To give the feel of a superposition of volumes, the lightest wood is used for the illuminated part, the opposite side has a dark wood and the wood species used for the upper surface is duller wood. 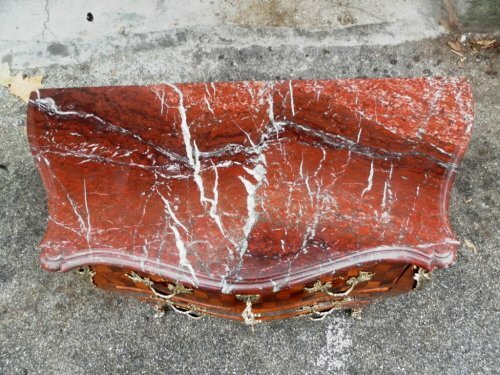 The dresser is topped with a red cherry marble strongly veined white, double throat and setbacks. 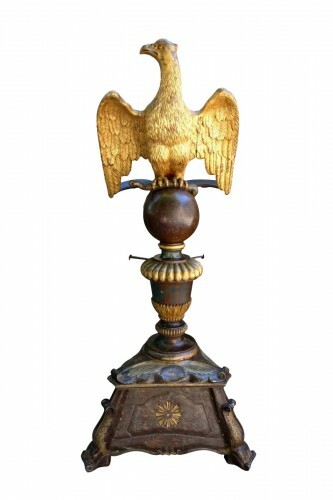 Bronze ornamentation. Has two functional keys. Elegant dresser. 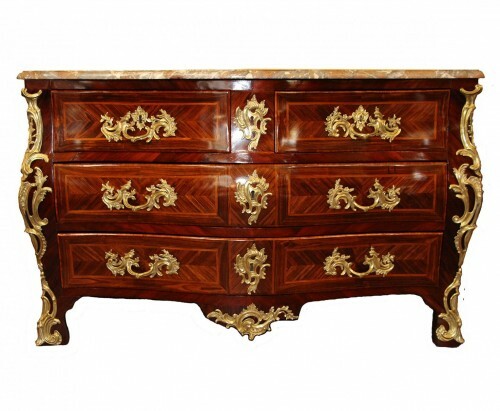 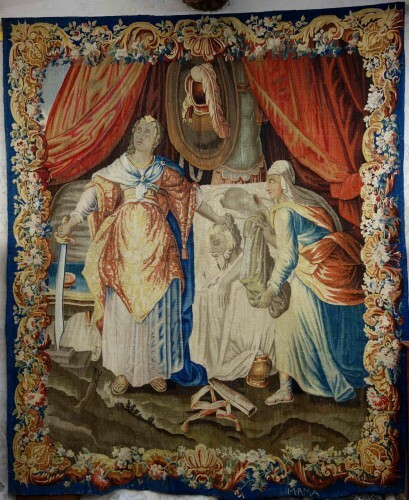 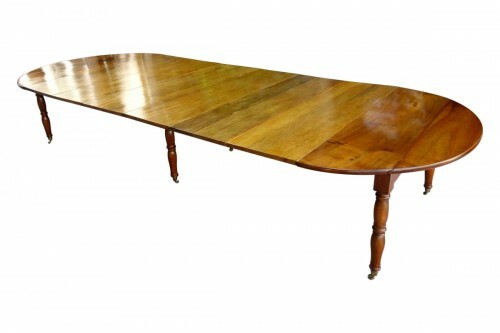 Its original proportions approximating a piece of in-between are a sophisticated and easy to place in a charming interior furniture. 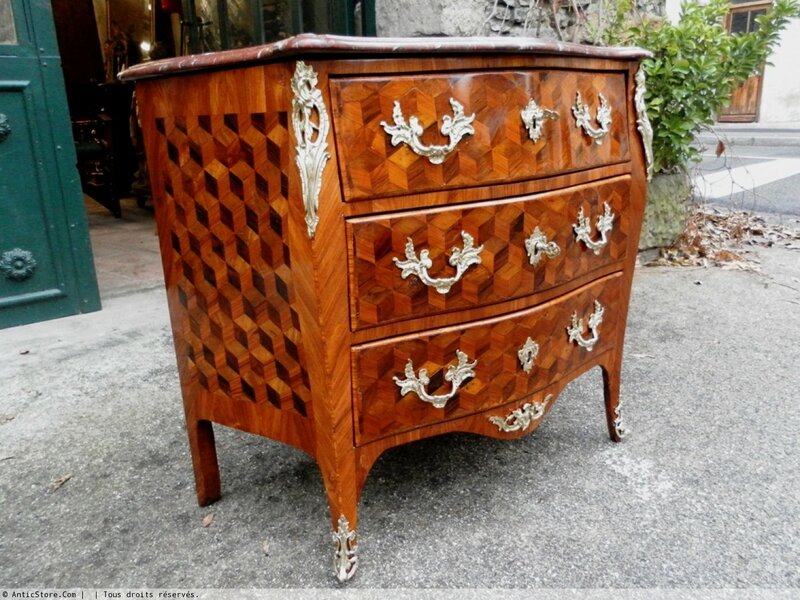 Certificate of authenticity issued by an independent expert.